KitMonsters – iZotope Ozone. The music makers’ guide to making music. 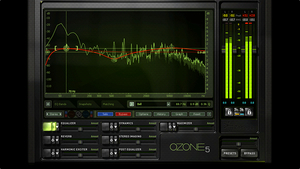 iZotope Ozone 5 is a suite of eight essential mastering tools in one plug-in. It includes Equalizer, Multiband Dynamics, Maximizer, Multiband Harmonic Exciter, Multiband Stereo Imaging, Post Equalizer, Reverb, and Dithering. They are designed to let you add realistic warmth, bite, punch, and space to your mix. The software helps you achieve louder, fuller masters while preserving crisp transient detail with iZotope’s third-generation IRC Limiter. It also gives you visual feedback from extensive metering and spectrum analysis tools, to help you make decisions. 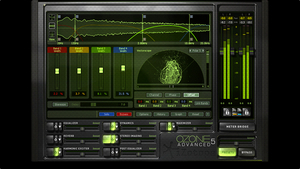 Ozone includes over 250 professionally designed presets in a wide range of styles.